Craving a Hollenbeck Farms burger? If you like the meat Hollenbeck Farms sells at the Farmers’ Market, you’ll probably like hearing that they’ve opened up a permanent retail store in Lincoln. Crave sells burgers in the $6 to $8 range, plus fries. HF Crave actually had a soft (quiet, to avoid being overwhelmed) opening on Aug. 17 in their new location at 28th and Pine Lake Road — between Chipotle and Noodles. 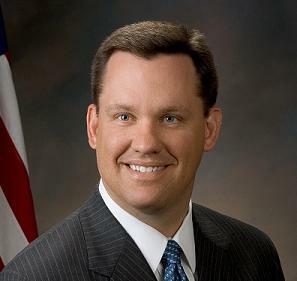 In trying to explain why his financial disclosure forms indicate he’s a multimillionaire, Attorney General Jon Bruning now says he got rich in the roaring 1990s — but he wasn’t singing that tune early on in his political career. As a young state senator, he was telling the Daily Nebraskan what a financial sacrifice he’d made to become a public servant. He told the college newspaper he gave up his lawyer’s salary to run for the Legislature. He will earn just $12,000 this year, a substantial pay cut he accepted for the chance to have an impact on state government. To further squeeze his finances, Bruning and his wife, Deonne, are expecting a child in April– a girl, the couple recently learned following an ultrasound test. Although Bruning admits his situation is “scary” at times, he said his sacrifices are worthwhile. He also told the DN how he and his lawyer wife had sold his Ford Explorer to cut expenses and were commuting to Lincoln in a 1991 Mercury Sable with 80,000 miles on it (!). And yet, this record indicates he bought a $298,000 Omaha house in 1997 — just a few years out of law school. He also says he was “incredibly fortunate” as a young man out of law school to land a sales position at Vital Learning Corp. of Omaha, which sells personal-training programs to businesses. He says he made a “lot of money” at the company, although he declined to say exactly how much. He said he then made more money by investing in the robust markets of the 1990s. “I was able to successfully invest that money in the stock market in the early 1990s,” he said.